Just recently, the choir at my church learned to sing "I've Never Been Sorry," a beautiful hymn written by Albert E. Brumley. 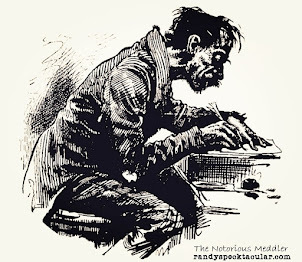 He published the tune in 1941, ironically the same year that Pat Bowlin was born. This song mimics her life perfectly. that I trusted His name, blessed holy name"
Pat, or 'Auntie,' as I called her in my youth, was saved and joined Clear Fork Baptist Church in 1960. She promptly set out to serve the Lord, and did in so many different ways for the rest of her life. She would pick up friends, or children, and take them to church. She taught numerous people how to play the piano, including some who play in church today. Another way she served the Lord was with her voice. 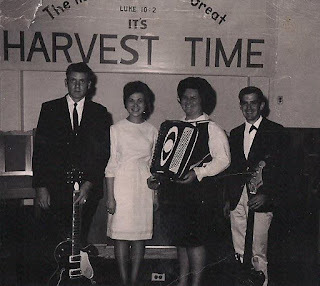 Born into a musical family on October 15, 1941, the daughter of Cecil and Dimple Speck, Pat had learned to play the accordion by the time she was in her late teens or early twenty's. 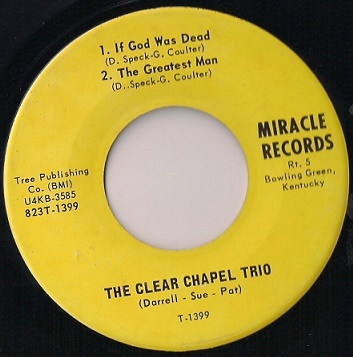 In 1965, she and her brother, Darrell (my dad), formed the popular Clear Chapel Trio. The group performed throughout Kentucky and Tennessee, as well as Indiana and Missouri. 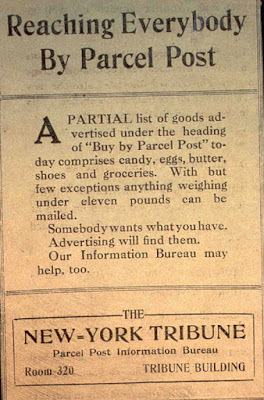 They also had a 30 minute weekly radio show on WANY in Albany. The original line up included Pat, Darrell and Bro. Anson Perkins of Monticello. Sue Tallent of Albany later replaced Bro. Perkins. They had several backing musicians on the radio show. Their cousin, Libby McWhorter (later, Mullinix) would sometimes play piano, as would Cecil Pryor, who also would sometimes played bass. Ray Mullinix also played bass on the program. Sometimes Elmer Goodman would play guitar, mandolin or fiddle. Joe Cerrato, who was the local sheriff at the time, played drums. In early 1967, the Clear Chapel Trio released two 45 r.p.m. singles on Miracle Records out of Bowling Green. The songs were "If God Was Dead," "This Feeling In Me," "The Greatest Man," "God May Not Let You Live That Long," "This Feeling In Me" and "Thank You For The Valley." All but the last song were originals written by dad and his songwriting partner, Gene Coulter. Later that year, the trio changed their name to the Gospel Servants. The line up would eventually include Pat, Darrell and their cousin, Libby. An album entitled, "The Gospel Servants Sing The Greatest Man," was recorded at Sounds of America in Nashville. The album featured studio musicians, including famed gospel singer and composer, Henry Slaughter, on organ, and legendary guitarist Hal Kennedy of the Dixie Echoes. 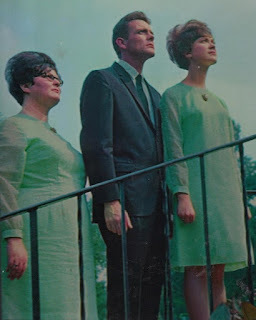 Most of the songs on the album were original songs written by dad and Gene, including "Big Singing Day," which was later recorded by the Speer Family, and "The Greatest Man," which was also later recorded by Kennedy. Vestal Goodman was one of the most well-known female gospel voices back in the day, but while she was a great singer, she was no Patsy Speck. I always thought Pat was a much better singer. No one ever sang like my auntie. Her unique voice captivated audiences. She would throw her head back and wail like no other singer I ever heard. Her low alto range, so powerful it would almost shake the walls and you would sometimes think it was a man singing, commanded attention and she received nothing but respect and admiration from all who heard her. That I trusted His name (Blessed holy name)"
When Pat became a christian, she put God first in her life and He remained first in her life 100% of the time. Pat, and her husband Jim Bowlin, a good and Godly man, never had children of their own, but Pat looked after other children, including nieces and nephews, and children outside the family who became her family. She told them about Jesus, took them to church and taught most of them how to play the piano. Since the Savior came (Since the Savior came)"
It is difficult for me to come up with a favorite song that Pat sang, because she sang them all so well. "Who Am I" would have to rank at the very top. So would "I'll Follow The Lord." My favorite duet song that she sang with dad was "Somebody Bigger Than you And I." My favorite of all the trio songs would have to be their version of Dottie Rambo's "He looked Beyond My Faults And Saw My Need." When Pat takes over the lead on the last chorus, I am deeply moved. Pat was an inspiration to us all. Her love of gospel music touched my heart. Rarely a day passed that she did not sit at a piano and sing. 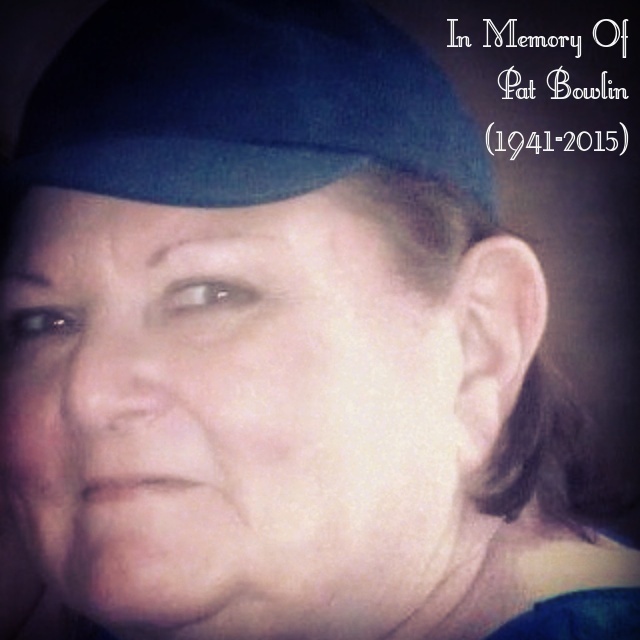 It was the only Pat Bowlin I ever knew. It will forever be her legacy. Randy, this is a great tribute to your aunt. Your favorite trio song is also mine.